PLOT: Steve Jobs takes us behind the scenes of the digital revolution, to paint a portrait of the man at its epicentre. The story unfolds backstage at three iconic product launches, ending in 1998 with the unveiling of the iMac. I like to think of myself as an Apple fan, but not an Apple ‘fanboy’. There is an important distinction. Although I have been fully assimilated into the cult of mac with an iPad since the day one, iPhone since the 2nd model (3G), iMac since 2010 and Macbook Pro since 2011, I do not blindly buy each revision or new product. The iMac and Macbook are both my original models, the iPad has been changed once out from the six upgrades offered and I am on my fourth iPhone from the ten models released (with two of those upgrades forced due to lost phones). Why am I wasting space telling you that? Probably to in some way justify my fascination for a man who may not have created anything, but all the same changed the world with his drive, philosophy and blinkered pursuit of his own vision of progress. 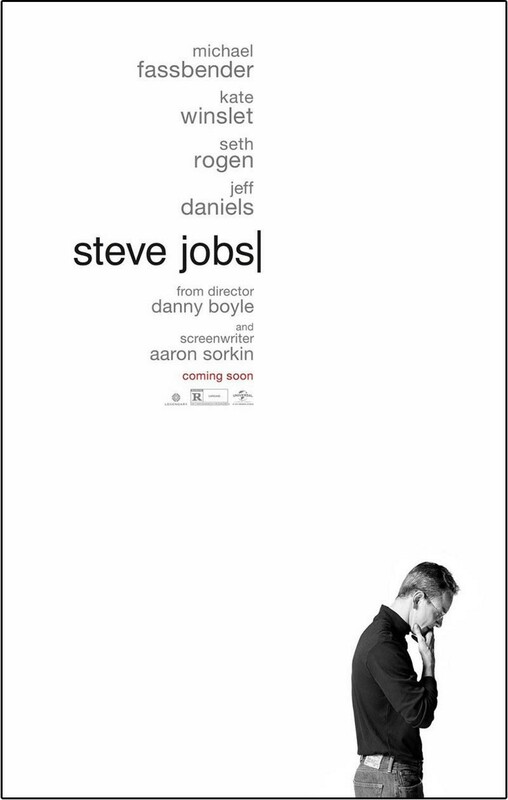 Following not to far after the poor 2013 biopic ‘Jobs’, starring Ashton Kutcher, Danny Boyle’s Steve Jobs takes a very different approach to a well told story. 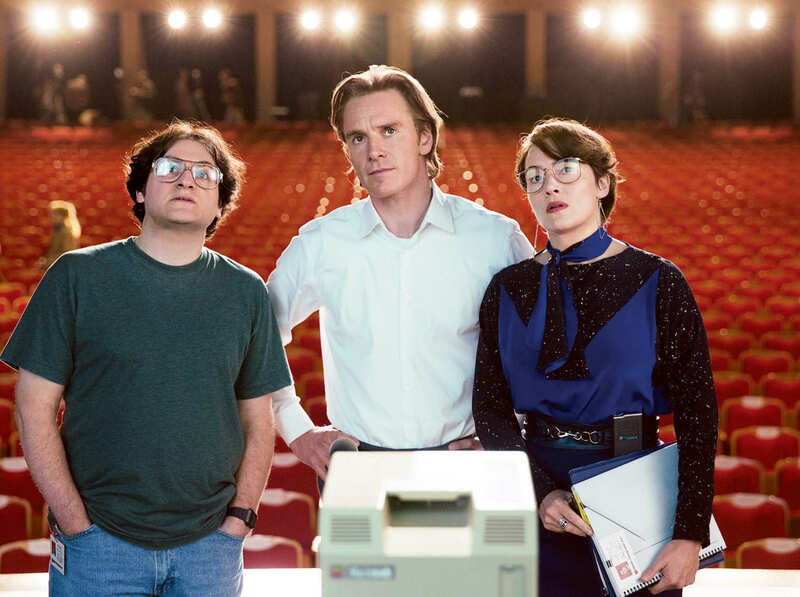 Using Walter Isaacson’s excellent authorised biography on the man, Aaron Sorkin (the wonderful screenwriter of ‘The West Wing’, ‘The Newsroom’ and Facebook movie ‘The Social Network’) decided to forgo the standard biopic ‘cradle to grave’ fare and instead to create a story of his own. This has caused much consternation from the aforementioned fanboys who claim ‘half of it is made up’. Sorkin acknowledged this and boldly stated that rather than half being made up, the whole film is a fabrication! Whilst everything in it is true (according to the biography), nothing happened the way the film tells it. That is probably too much artistic license for some to stomach, but I would suggest that those people care too little for the art of film and should simply read the book instead. Based around three key Apple product launches the film follows the antics of Jobs and his interactions with a small number of key employees, most notably marketing executive Joanna Hoffman (played incredibly believably by Kate Winslet), CEO John Scully (Jeff Daniels), Chief Engineer Andy Hertzfeld (Michael Stuhlbarg) and co-founder of Apple and designer of the original machine Steve ‘Woz’ Wozniak (played slightly disappointingly by Seth Rogen). 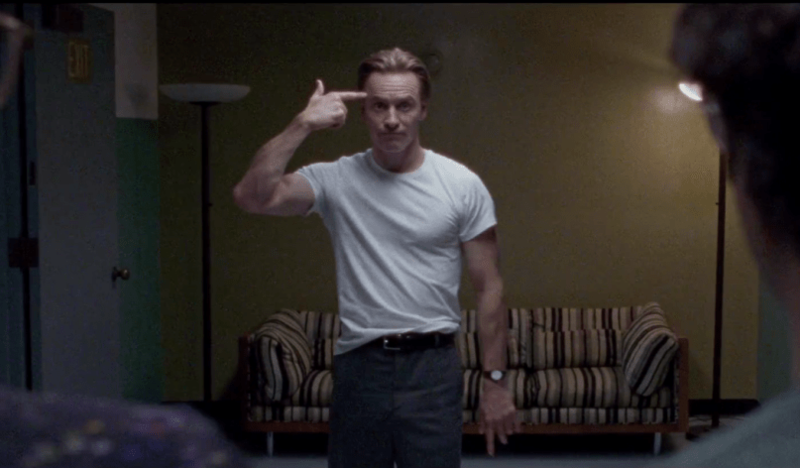 By shoehorning many interactions that took place in very different situations into dramatised scenes, Sorkin and Boyle have given the film a stage play like feel, which works particularly well. Having read the book a couple of years ago and seen a number of documentaries about Jobs’ life since, it would be easy to be disappointed by how little of the mans life is covered in the film. The launches of the Macintosh, the NeXT and the iMac in 1984, 1988 and 1998 respectively skips a huge amount of an important life. We see nothing of his youth, nothing of his travels to India or his peculiar eating habits. Nothing about the how he created the animation studio Pixar, the iPod, iPhone or iPad. Nor anything about his many relationships, his time at Atari or the semi-destructive friendship he had with Daniel Kotke. But strangely that did not detract from the film and rather than long for a more in-depth movie, I was left hoping that Sorkin would do as he did with his 1995 movie ‘The American President. Having spent quite some time at the Whitehouse researching the film, Sorkin felt that he had too much material to waste so rather than film write a sequel, he created the outstanding US political drama The West Wing. 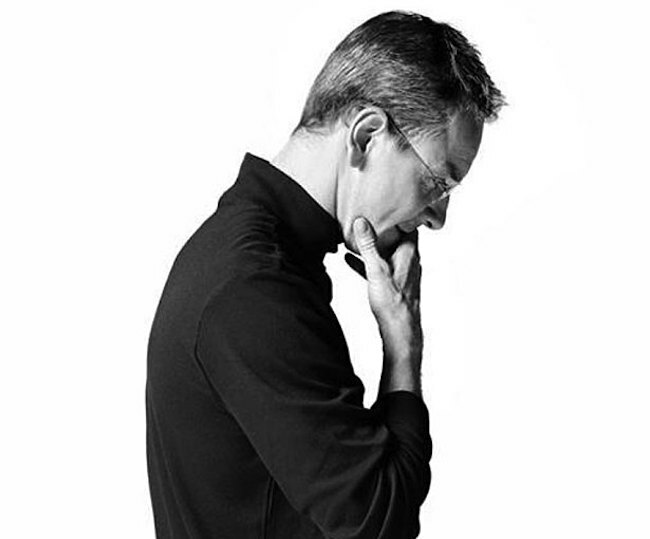 If he could do the same and use his unique style to create a Steve Jobs TV series covering the whole remarkable story then I would be a very happy man. So I have spoken a lot about what I am not, what the film isn’t and what could be done in the future, but very little about the film itself. The writing, the acting, the production, the music and the direction are all top notch and it is easy to see why the film is already being tip for success in the awards season. Winslet in particular (apart from a strange increase in Polish-ness between the first and second acts) is outstanding. It maybe shy’s away from some of the darker parts of Jobs and it’s fictional retelling of a true story won’t be to everyone’s taste. But if you have a passing interest in the life of a flawed visionary, rather than the products he helped create, then the film is essential viewing. It maybe shies away from some of the darker parts of Jobs and its fictional retelling of a true story won’t be to everyone’s taste. But if you have a passing interest in the life of a flawed visionary rather than the products he helped create, then the film is essential viewing. You certainly don’t need to be a Jobs or Apple fan to watch it. If you like Aaron Sorkin you will like it. If I hadn’t heard of Steve Jobs before I would have believed he was a made up Sorkin character as he fits so well into his canon.